As suburban poverty has risen, more and more local residents have struggled to put food on the table. Soup kitchens and food pantries report sharp increases in demand for their services, while their usual sources of support cannot keep up with increased demand for food. Partners for Health Foundation launched its fresh produce grants program in response to this growing crisis. The grants emerged from a three-meeting “hunger” colloquium sponsored by the Foundation in 2009. Produce grants are currently awarded to these pantries and kitchens in Montclair: Human Needs Food Pantry, Salvation Army, Toni’s Kitchen, and Seventh Day Adventist Pantry and Meal Program. St. Peter’s Haven Family Shelter and Healthy Food Pantry in Clifton also receives funding. 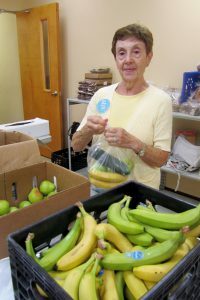 Many who visit the food pantry at the First Seventh Day Adventist Church of Montclair are now eating a more balanced diet. “We’re encouraged to see that food recipients recognize the importance of eating vegetables and fruits and that they are gradually able to move away from preprocessed foods,” says Pastor Paula Olivier. 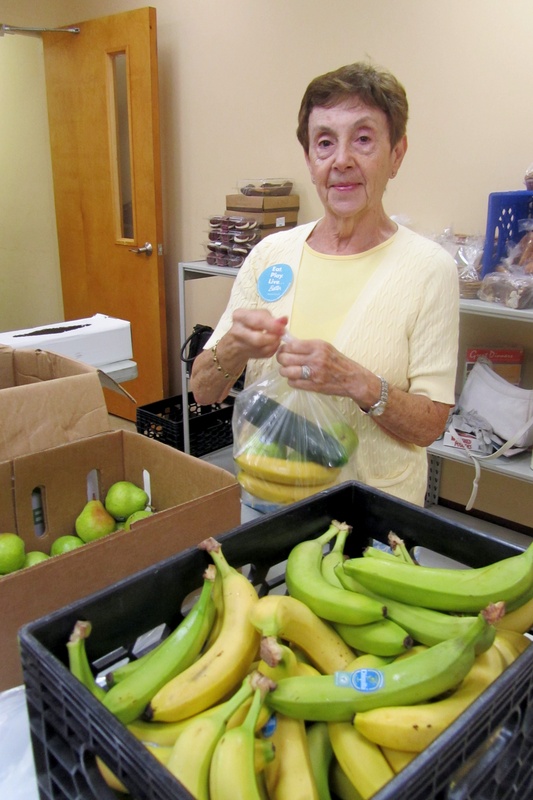 A volunteer prepares bags of fresh produce for distribution to clients of the Human Needs Food Pantry.